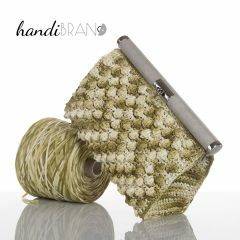 Handibrand Kit Designs :: Kit Bubble Raffia Bag with Raffia Wood Cord Yarn. Choose Your Colors! 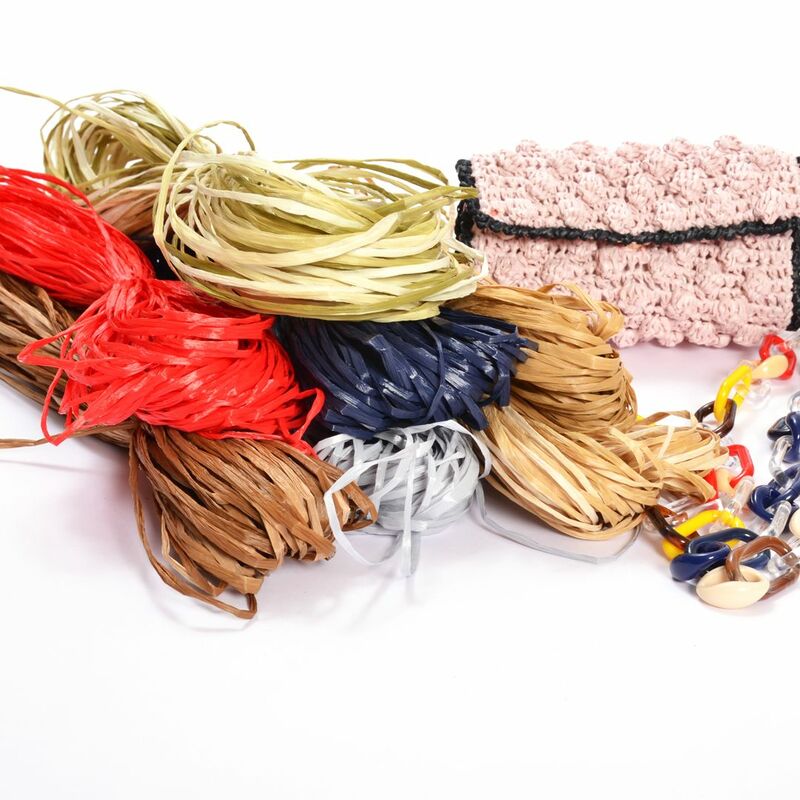 Home/Handibrand Kit Designs/Kit Bubble Raffia Bag with Raffia Wood Cord Yarn. Choose Your Colors! 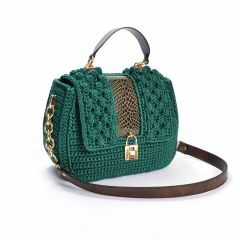 Kit Bubble Raffia Bag with Raffia Wood Cord Yarn. Choose Your Colors! 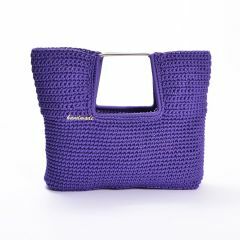 A super cute summer bag made with a light weight Raffia Wood yarn made from viscose. The final measurements of this bag are 20x11cm. 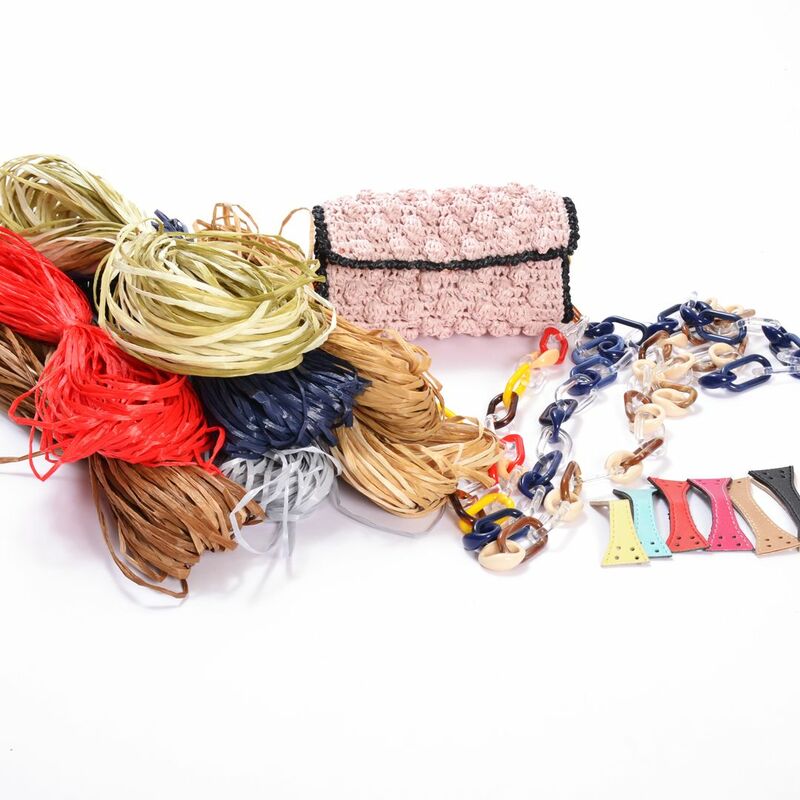 This kit contains 3 skeins of Raffia yarn for the main color, 1 skein of Raffia yarn for the second color to be applied to the perimeter of your bag, 1 sew-on magnet, 2 sew-on eco-leather side panels and 1 multicolored, 95cm long resin chain with resin links in multiple sizes and styles. You'll need a crochet hook no. 4. 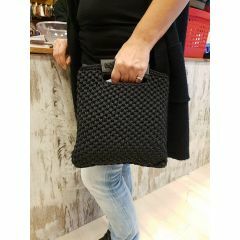 The body of the bag should be about 20cm in width and 34cm in height. Kit Rod Frame, Elegand with Raffia Cord Yarn. Choose Your Colors! Kit Strass Frame Fru Fru. Choose the Color of your Tulle Ribbon Yarn! Kit Wooden Handles with 600gr Hearts Cord Yarn. Choose Your Colors! 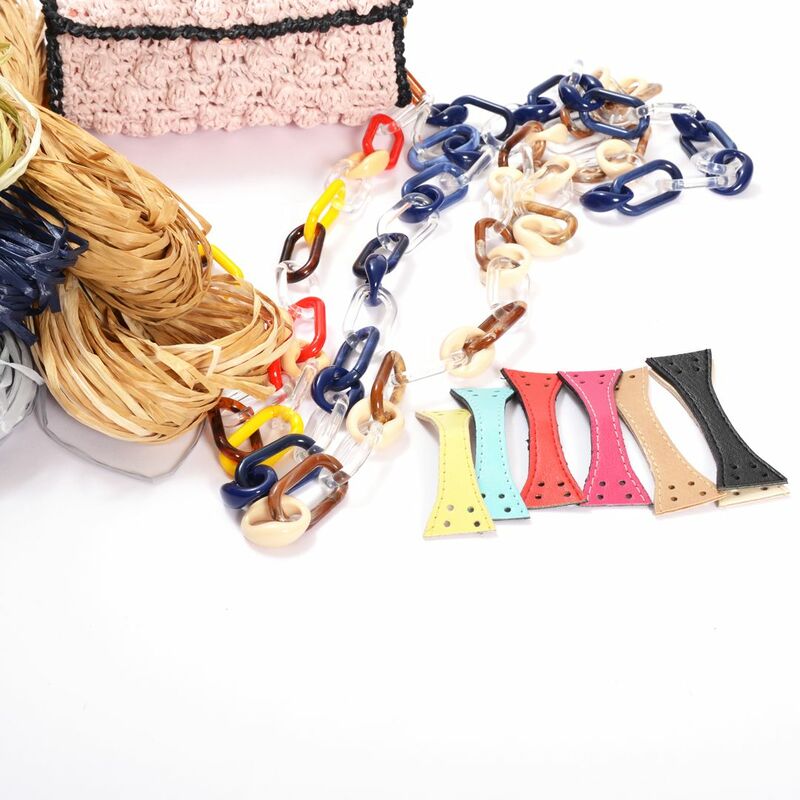 Kit Wooden Handles with 600gr Prada Multicolor Cord Yarn. Choose Your Colors! Kit Wooden Handles with 500gr Natural Cord Yarn. Choose Your Colors! 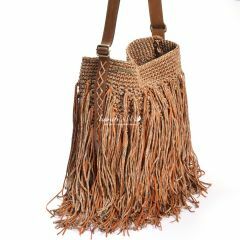 Kit BOHO CORS with Long Tassels, Wide Handle and 1000gr Cord Yarn. Choose Your Kit Color! Kit Georgina with Handibrand Hearts Cord Yarn. Choose Your Colors! Kit Small Tote Bag with Eco-Leather Sew-On Handles and Slim Cord Yarn. Choose Your Color! 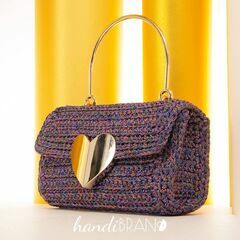 Kit Metallic Handle Bag with Catenella Cord Yarn, 500gr. Choose Your Color! 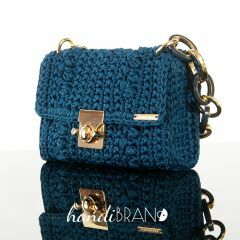 Kit Lock Pochette Bag with 300gr Tripolino Cord Yarn. Choose Your Color! 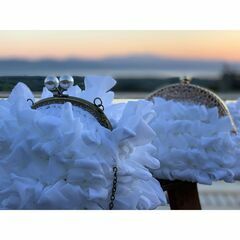 Kit Strass Flower Princess Bag with 350gr Fibra Cord Yarn with Crochet Handle. Choose Your Colors! 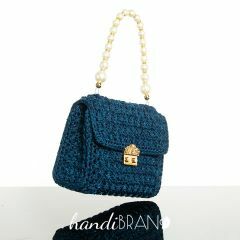 Kit Strass Princess Bag with 600gr Metallic Cord Yarn and Pearl Handle. Choose Your Color! 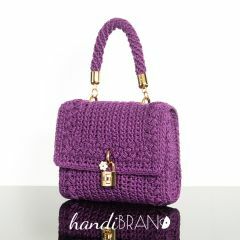 Kit Bag with Heart Closure and 300gr Prada Silky Cord Yarn. Choose Your Color. 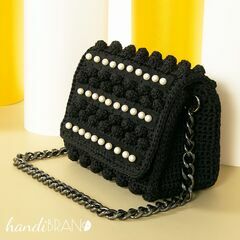 Kit Pearl Pochette with Metal Handle, Fashionable Decorative Tape with Holes and 600gr Handibrand Cord Yarn. Choose Your Color! 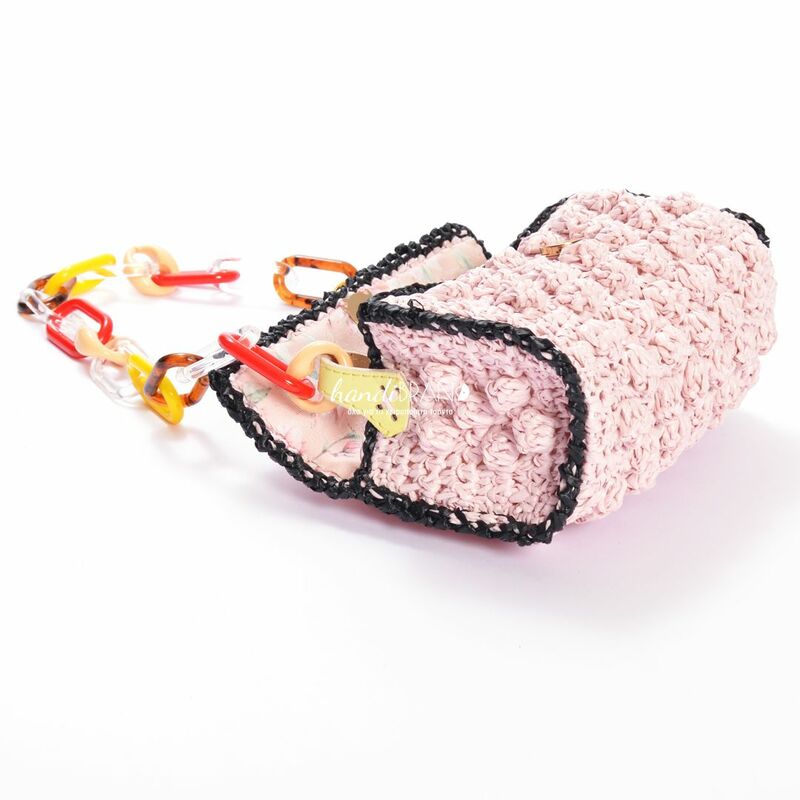 Kit Crochet Bubble Stitch Round Bag with Metal Handles. Choose Your Color!